Germany, The Fraunhofer Institute is the place which gave us the daily enjoyable music, say the MP3. The researchers over there have now discovered a new flaw in the iPhone’s security. To perform this attack the hacker needs physical access to your phone, this attack cannot be remotely performed. They have found out some jail breaking and few new script to perform this attack. Your phone goes under some scripting from where the hackers gets all you credential data. The actual encryption of the phone is not broken, the hacker have access to your email accounts and the wifi network passwords, from your mail accounts he can get, change and use all your other accounts such as facebook, twitter, amazon, etc. The whole procedure requires just six minutes for the hacker to get into your phone and get your personal data. 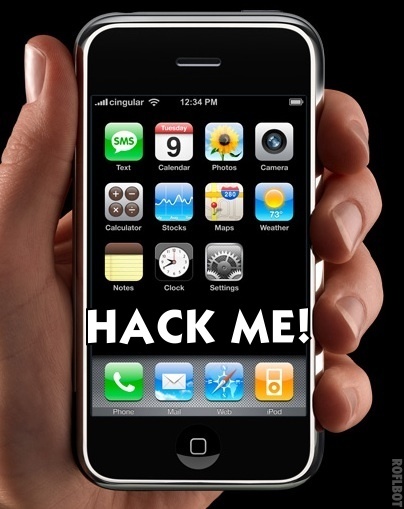 If you have lost your iPhone the better way to get rid of this attack is to change the passwords of all the accounts you are being using on your phone as the hacker is not able be to actually break the encryption, he just scripts and tricks the phone to give access to the accounts used on it previously without knowing the password. Hope for apple to fix this breach very much soon.